Many people wear wigs to look good and feel great about themselves. They want to feel comfortable in their skin and have a sense of style that reflects their identity in a confident way. For some people, having this confidence about a style and self-identity is all the more important. Most of these people face medical concerns that cost them their hair in the long run. Therefore, they might want to use a wig to feel better about themselves. Many medical wigs exist to help with hair loss concerns due to illness or treatments, so here is a review of a few options that are available. When medical wigs come to mind, most people think of wigs for people who are fighting cancer. Whether it is the illness itself or the treatments that cause hair loss, these men and women feel sick enough as it is. Finding confidence in themselves can be rather difficult on top of the situation in which they find themselves. Many companies accept donations from people looking to cut off long locks of hair, which is a great way to find resources for natural hair. Some of these companies accepting donations want virgin hair, or rather hair that is not touched by chemical products. Other companies will accept treated hair for the sake of making more wigs for patients. People looking for wigs during or after treatment to take steps towards looking like their former selves once more. However, it also offers a chance to look like someone else and to feel even more confident about themselves through wigs for cancer. These wigs are made to fit comfortably since many people do not have any hair between the wig and their heads. Therefore, deciding to wear a wig cap under the wig might be a good idea. Cancer is not the only reason why people might end up deciding to wear a wig. Alopecia Wigs also exist for much the same reason as wigs for cancer do. The idea is to give people a confidence boost that they might not otherwise happen with hair loss due to alopecia. This illness can happen for many reasons, and while there are ways to treat it, finding a personal style in-between having new, real hair and not having hair at all is rather difficult. Therefore, alopecia wigs step in to fill that void. The best wig choice for people experiencing medical concerns is to go with hand-tied caps. 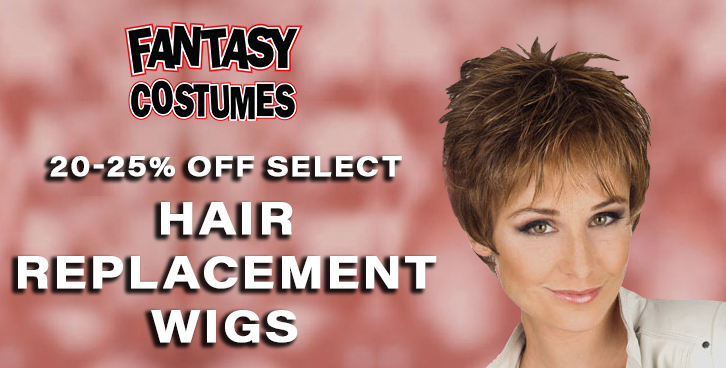 These wigs protect against scalp sensitivity, thus making the wig more comfortable to wear in the long run. They are also more lightweight than traditional wig options, too. They feel as good as natural hair since they are soft to the touch, too. Everyone wants to look fabulous and feel good about themselves, and wigs can help this transformation to take place with ease. Medical wigs help people facing concerns with cancer treatments or alopecia to feel much the same way. Our staff is available to walk you through the process of selecting your wig and teaching you about the available options and care.